A beloved, "magnificent" wild cheetah who provided remarkable insight into cheetah life in Botswana, has been murdered. 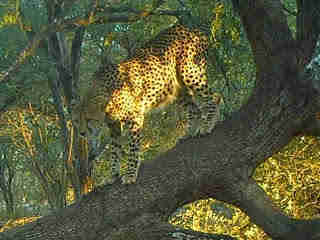 Legolas was a 4-year-old male who was monitored by the Cheetah Conservation Botswana (CCB). Last week, researchers unexpectedly found him shot dead on the side of a highway. A shotgun cartridge was found near the corpse. "Any loss of a cheetah is pretty devastating," Jane Horgan, education officer for CCB, tells The Dodo. "But Legolas' death was particularly upsetting as it was an unprovoked attack." It isn't uncommon for cheetahs to be killed due to conflict with local farmers, she notes, as predators sometimes eat livestock. "This is something we deal with on a regular basis," says Horgan, "and we sympathize with the farmers who struggle to live side by side with predators with very little incentives. Legally they are allowed to shoot predators that threaten their livestock." But in Legolas' case, she says, it was different: "Legolas' death appears to have been ... carried out opportunistically when the perpetrator saw him and his brother crossing the road." "Our entire team and those who were lucky enough to have worked and studied this magnificent animal are all in mourning in the wake of this needless attack," CCB wrote on its Facebook page. Legolas was one of the biggest cheetahs ever collared by CCB, Horgan notes. 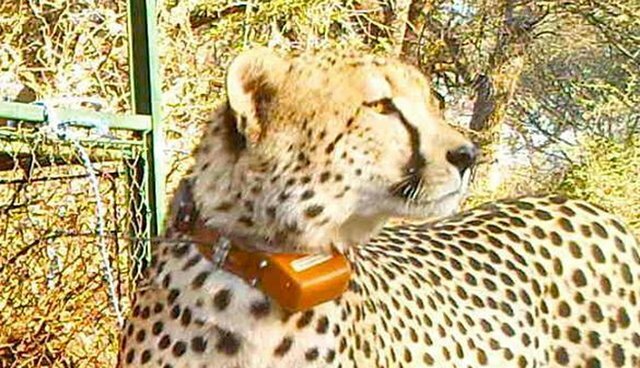 And the data obtained from his state-of-the-art collar, which Legolas had worn since July 2014, revolutionized the study of cheetahs' collaborative hunting techniques - until now, they had been largely unknown. His death matters for the whole species: There are a mere 1,700 cheetahs left in Botswana, and globally, the numbers are plummeting. 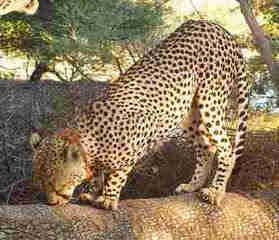 Horgan says that there were some 100,000 cheetah in 1900. Then 10,000 in 2010. And today, the number hovers around 6,500. The species is listed as vulnerable on the IUCN Red List of Threatened Species. Legolas was a member of the Ring Brothers, one of the largest coalitions that CCB has been studying, explains Horgan (coalitions are small groups of males). There were four cheetahs in the Ring Brothers coalition and it was a robust group: "We suspect they were so successful because there were so many of them - the more there are in the coalition, the larger the prey they can bring down and the more there is to eat," she adds. Legolas' murder, therefore, may have a deleterious effect on the function of the group. "Losing one of the members, especially the largest, who may have been instrumental in catching prey, will likely diminish their success in the wild," she says. Of the seven cheetahs that were collared in the research project in 2014, three have been shot. CCB says it will continue to watch the rest of the Ring Brothers group who are now living without Legolas. 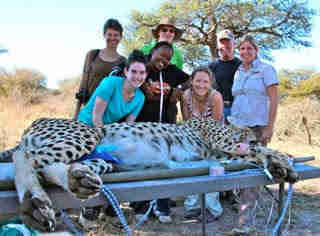 To support the work of Cheetah Conservation Botswana, go here.